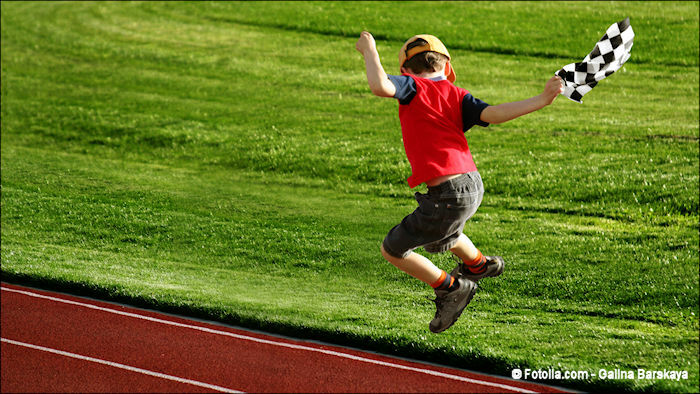 I was traumatized the other day – maybe I should say “triggered.” My wife, our two youngest children, and I along with several other homeschooling families participated in an annual track and field day. We have been homeschoolers for a long time, beginning with our youngest child (we have ten in all) in the mid-1980s. Having lived in different parts of four of Canada’s largest cities and being committed to tailoring each child’s schooling as best we could to their individual needs and abilities, our education experience has been quite varied. From time to time we have been involved in formal and informal co-ops, where we would connect with other families to provide subjects and/or activities to complement what we were doing at home. This school year, we enrolled our two youngest (the only children still living at home) in a once-a-week formal co-op. For many years in the region where this occurs, parents have been putting on an annual field day. That’s all to say that it has been a long time since I have attended, not to mention been involved, in such an event. I remember similar days from my own school years. Just like this one, they tend to be a mix of classic track events, such as running races of various distances, standing and running long jumps, etc. and fun ones, such as the three-legged race. It was a most pleasant event for the most part, except for what triggered me. Before I get to the truly painful part, I was first taken aback by the giving of ribbons for first through fifth place. When did they add fourth and fifth place? Will this generation be lobbying the International Olympic Committee for more medal categories? I wonder what they would be made of? Would you believe in 2012 a man from England took it upon himself to have pewter medals made and sent to fourth place finishers of the Summer Games in London? But my relatively minor state of shock over extending winning ribbons beyond third place didn’t prepare me for the BIG TRIGGER. As I was watching one of the races of the younger children (six-year-olds, perhaps), it was so obvious that some children were genetically superior than the others. It wasn’t even close as this one child (note my purposeful gender-neutral language) ran with superhero speed (comparatively speaking). I stood there with dropped jaw. It was incredulous that well-meaning parents (as I assume these were) would allow such disparity of ability to be flaunted before impressionable minors. This child (as were a few others) were clearly physically privileged. No wonder they had ribbons for fourth and fifth places. My daughter’s group only had five competitors, so that was fine, but others had more. I don’t know how the ribbon-less children were able to show their faces in public after such a shameful display of inequality. Speak of unfair! Korah and company who challenged Moses in this week’s parsha understood this and they were even more irate as I was (whether I really was traumatized or not is up to debate. You decide if I am being satirical or still bitter over being such a loser at athletic events). I know the parallel isn’t exact. The inequality demonstrated at the field day had to do with athletic prowess, while Korah was angry over what he perceived to be prejudicial preference. Yet I don’t think the resentment principle at work in these two contexts are that different, especially when you take God into account. Korah, like Moses, was of the tribe of Levi. They were appointed by God to serve the priesthood, while God gave the priesthood itself to Moses’ brother Aaron and his descendants. Being specially set aside by God to be Levites was not enough for Korah as he wanted the priesthood as well. While he accused Moses of favoritism, in reality his resentment was targeting God himself. Life isn’t fair. Not everyone gets to be a priest. Nor is everyone graced with the same abilities. Not everyone is born into the same life situation. Not everyone experiences the same challenges and/or opportunities. Not everyone handles their challenges and opportunities the same way. Life’s not fair. What are we to do about it? Hand out ribbons for tenth place? Don’t hand our ribbons at all? Don’t have competitions? Some may think so, especially if equality of outcome is a high value. But is that what we want, really? More importantly, is that what God wants? With all the attention given to diversity in our day, do we know how to truly celebrate actual diversity? We are all so different. And to a great extent, it’s by God’s design. It may not be fair, but it is only when we commit ourselves to utilizing our God-given differences to their maximum potential, free of resentment, that each and every one of us can discover what we were created for. Everyone l think just wants a perfect world like it was intended to be so if people want more ribbons or some sort of justice for being offended, its all people can really do until the Lord makes things the way they should be. Joseph, That’s a good point. There is an aspect about our angst over the unfairness of life that cries for the type of authentic justice that can and will only come on Judgement Day. Insistence on equality of outcome, however, is a humanly derived misguided version of the real thing. Part of the problem is that we don’t understand true fairness from God’s perspective. I don’t think variations in human capability, for example, is unjust at all, even though I can see how these variations can be both abused and misunderstood within our broken world.